Lipstick is that everyday essential I can't leave the house without. For me it's "phone, keys, wallet, lipstick" every time. One of my favorite things about fall is that I get to play around with darker hues - specifically in the liquid lipstick department. Below I've rounded up some of my current favorite shades in the red and plum spectrum for the season! 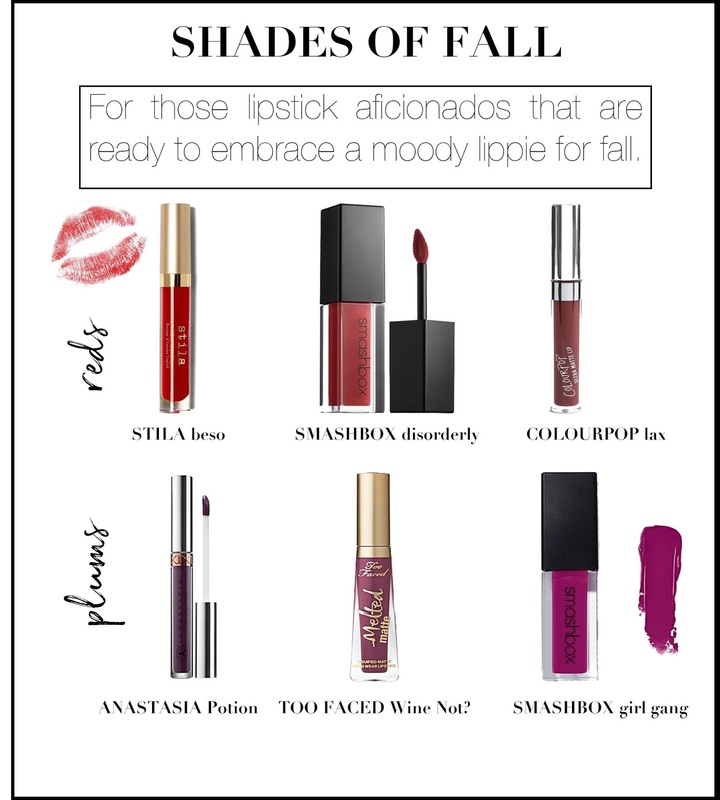 Let me know in the comments - what are your favorite seasonal shades? 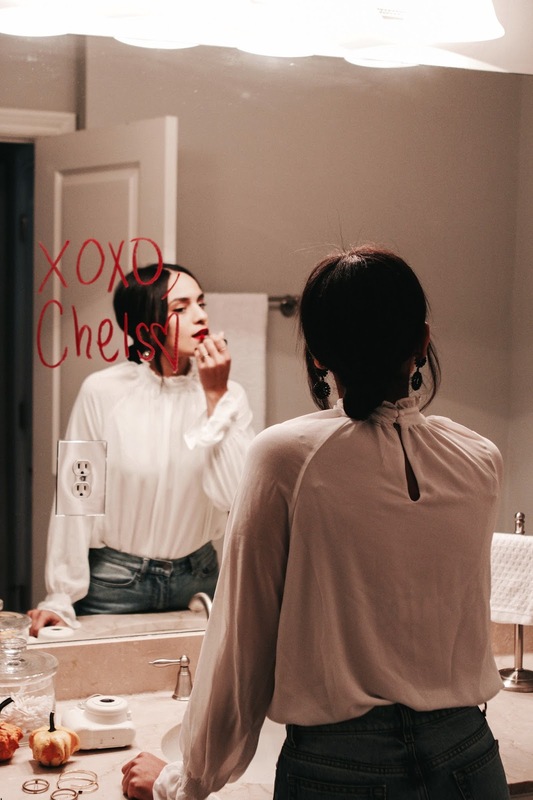 Stila Beso - currently 15% off! what a beautiful mirror photo!